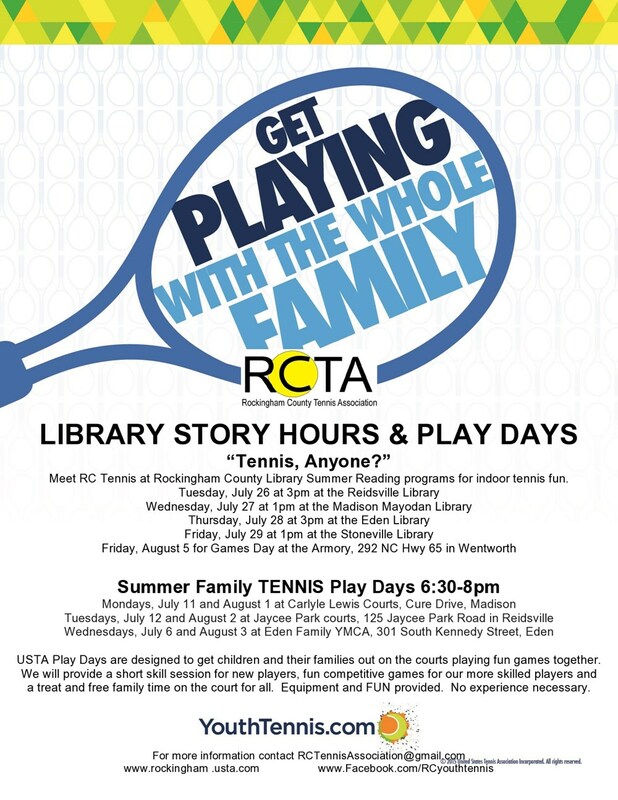 We're excited to announce that RC Tennis is returning to the Carlyle Lewis Courts in Madison Monday evening USTA Family Tennis Play Day. We had a great group of "regulars" last summer and can't wait to welcome them and new friends back to the court. This summer we will have our RC Tennis volunteers and equipment on the court from 6:30 - 8:00pm on Monday July 11 and August 1. There will be a participation fee of $5 per child (maximum $10/family) for these events to support our community tennis association. We will have a short skill session and fun games for our newest players, fun competitive games for our more skilled players, and finish with a treat and family tennis time. Adults and teens are ALWAYS welcome to participate as a family.